Wouldn’t it just be timely for MCMC to expose or unmask all the bloggers.? Should they….?? Remarkably,it does seem that ‘someone” is being hit right at the heart and the subject matter is nevertheless being debated in the corridors of power. Will Justice be served many asks? Our and most blogger opinions in cyber space are being scrutinised and many in power are feeling the heat. No one will be left unattended to as and when the blogger in question digs up all the dirt and posts it on line. The truth hurts and we know that many will rather be on the “good-side ” of these bloggers rather than be on the WRONGSIDE. Be prepared to face the wrath of the bloggers when they get their act together. The pen is mightier than the sword but they are ways to stop the bloggers but authorities would rather scrutinise their writings before acting. MCMC knows best and they would not just act as per what this extracted article have in mind. Umno leaders have described the anonymous bloggers who attacked Tun Dr Mahathir Mohamad and others as cowards and non-credible, saying it is unethical to hide behind unnamed postings to attack people. Kedah Umno leader Datuk Othman Aziz said it was irresponsible of the anonymous bloggers to play up issues related to state investment firm 1Malaysia Development Berhad (1MDB) merely to split the country’s leadership. “If we want to raise an issue, we have to be responsible and comment responsibly. We cannot try to confuse the readers or worse, exploit an issue until we pit one person against another,” said Othman, who is Jerlun MP. Besides Dr Mahathir, The Edge publisher Tong Kooi Ong and CIMB Group chairman Datuk Seri Nazir Razak had also been attacked. The Edge recently revealed that the blogger behind the malaysianexpose.wordpress.com which carried several accusations against the trio, is also behind other blogs which have published complimentary articles on businessman Low Taek Jho. Low has since denied being part of attacks, saying he respected the trio for their professional achievements. Othman said it looked as though the anonymous bloggers had the bad intention of seeing the country ruined. 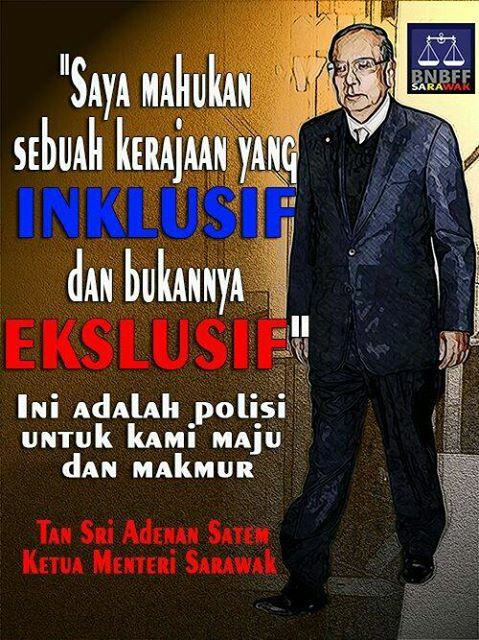 “As a responsible citizen, Dr Mahathir will give his views if he feels there are mistakes that needed to be corrected. “If such anonymous attacks continue, in the end it will affect our country’s economy. Will we be happy to see our economy become haphazard?” he asked. He said it was pointless for the anonymous bloggers to succeed in their attempts when in the end, the ones who lose out are Malaysians themselves. Sabah Umno leader Datuk Bung Mokhtar Radin said the bloggers’ actions were aimed at seeing two of the country’s senior leaders clash. This, he said, was evident in the actions of numerous bloggers who raised issues to provoke a clash between previous leaders like Dr Mahathir and former finance minister Tun Daim Zainuddin, with prime minister Datuk Seri Najib Razak. “This should be stopped because I don’t see any positive impact from such actions,” he said. The Kinabatangan MP said bloggers must be ethical and responsible in their writings and not make any allegations without facts. “As a responsible blogger, one cannot simply write without concrete facts to back it up,” he added. Umno leader Datuk Saifuddin Abdullah said while it is quite normal for writers to have pen-names, it is another thing entirely when one hides behind anonymity of the Internet to attack people. “Being anonymous is something else. It is as if one is hiding from something, more so when you are attacking someone else. It is unethical to hide behind the anonymity of blogs to attack people,” he told The Malaysian Insider. He suggested that those who have been maligned or wrongly accused by such bloggers lodge reports with either the police or the Malaysian Communications and Multimedia Commission (MCMC). Parliament’s Public Accounts Committee chairman Datuk Nur Jazlan Mohamed said unethical bloggers who make a living as weapons of powerful people have abused the Internet. “In this case, it’s clear that there is political motivation behind the actions of all the parties involved. “But I think people are smart enough to know this is a game of vested interests,” he said. Nur Jazlan, who is Umno’s Pulai MP, believed anonymous bloggers are on the payroll of individuals or parties to go around disparaging the reputations of others. However, he said it will be very difficult for MCMC to stop such acts as the Internet is an open platform, adding that Malaysians must be educated on such matters. Pengerang MP Datuk Seri Azalina Othman said she was disgusted by such acts, describing them as “cowardly”. “If you are championing a cause, why hide behind anonymity? If you are a blogger, put down your name… I think it’s a bit cowardly not to. “You have the freedom to write whatever you want to write, you should put your name to your opinions,” said the former Puteri Umno chief. Kelab Chedet exco member Mohd Ikhmal Abu Bakar said anonymous bloggers have no credibility, unlike those who put their names and face to their writings. He cited the example of Dr Mahathir who he said takes responsibility over his blog postings. “I ask that these anonymous bloggers come forward and show yourself. 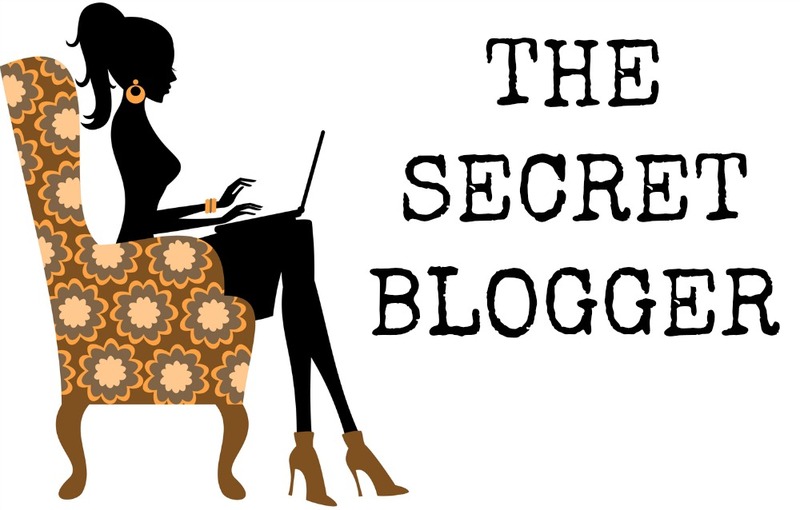 Do not attack and hide behind the anonymity of your blogs. “If you are brave enough to criticise, you should be brave enough to put your name to it,” he said. He said those who attack personalities but hide their identity have no “value”. “These people have no credibility and to me, their writing has no impact. People do not know who he is. “If The Malaysian Insider did not come up with the story, people will ignore the blogger,” he said, referring to the blogger who made accusations of currency speculation. “The public should not believe in the writings by anonymous bloggers.” – February 4, 2015. 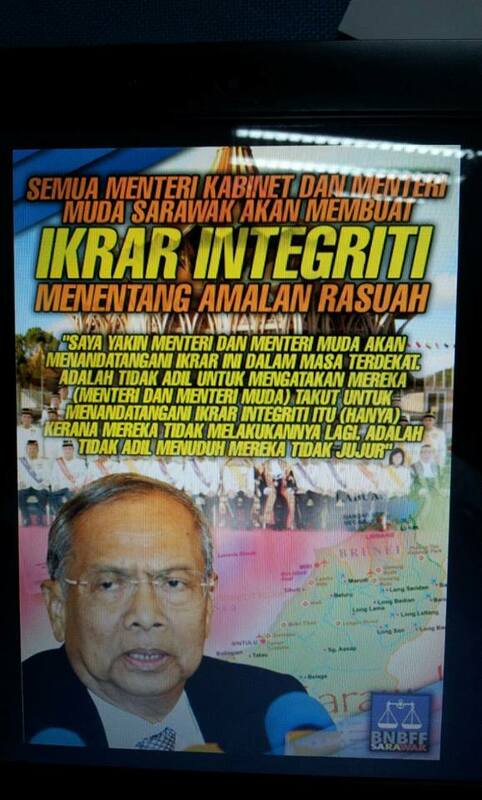 Adenan on Two Hard Hitting Fronts.. This is what you see and this is what Adenan is and he is as real as the person who is CM of Sarawak today and a no nonsense style in administration has always been his trademark. Adenan did not minced his words when he said,” no longer tolerate those who have eyes but are blind, have ears but are deaf and have mouths but are dumb”. The 6 companies he requested earlier in March to sign an integrity pledge were KTS Group of Companies, Rimbunan Hijau, Samling, Shin Yang, Ta Ann and WTK Holdings Bhd. No moves were forthcoming and it does seem that CM have to take the bull by its horn. 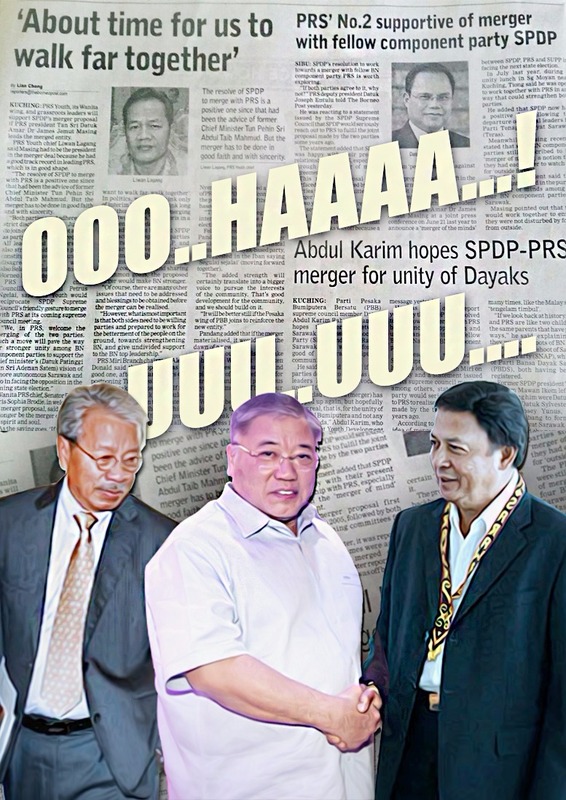 According to a political source Adenan can feel the under currents and it seems that there are forces going after his chair to destabilise his tenure and to shake him up. The source said,” The Rakyat are all for him with his frankness and his no nonsense approach and its a breadth of fresh air with him getting his fingers dirtied at the most crucial time of his administration. Our political source even went to the extend to say that the stern warning to the timber companies ,”not to mess with him” has send shivers amongst the people who are walking the corridors of power. The tycoons will feel that they are in for “quite a ride” in the months ahead and they either have to toe the line or face the wrath of the Adenan’s administration. Will they join the ride or ask for an “outside force ” or “enemy within”to ensure Adenan will not be so gung-ho and scoring direct hits to their vulnerable businesses? The Pandora Box is opening and the key is still within reach of some who sees that their powers are slowly being sucked out from their very own eyes. The unknowing leaks from the state administration is beginning to show results and the powerful few are scratching their own faces with their finger nails. Ouch!!! Adenan is doing it for a reason and it is going to be a surprise and those who are first in line to sign be it timber tycoons, ministers ,assistant ministers will have a good nights sleep. Surely there is NO ENTRAPMENT here..? The Rakyat will applaud them for being True Sarawakian in spirit as they will uphold the State’s integrity and ready to fight corruption. This is a top notch move. We are pretty sure that they will be more surprises in store for those walking the corridors of power and ensure that the opposition too will be caught off guard. It has certainly started to ooze some blood from those walking the corridors of power and some are again looking over their shoulders.